Is this the PlayStation 4 slim? Very probably not, if we’re being honest. While reports of a newer, smaller PlayStation 4 are inevitable, I think it’s a little too soon for it to happen. 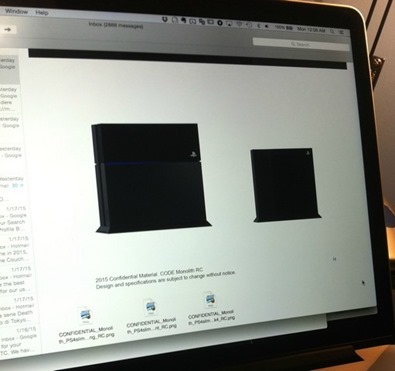 That hasn’t stopped this series of confidential images purporting to be the first pictures of a diminutive PlayStation 4 from flooding the internet. 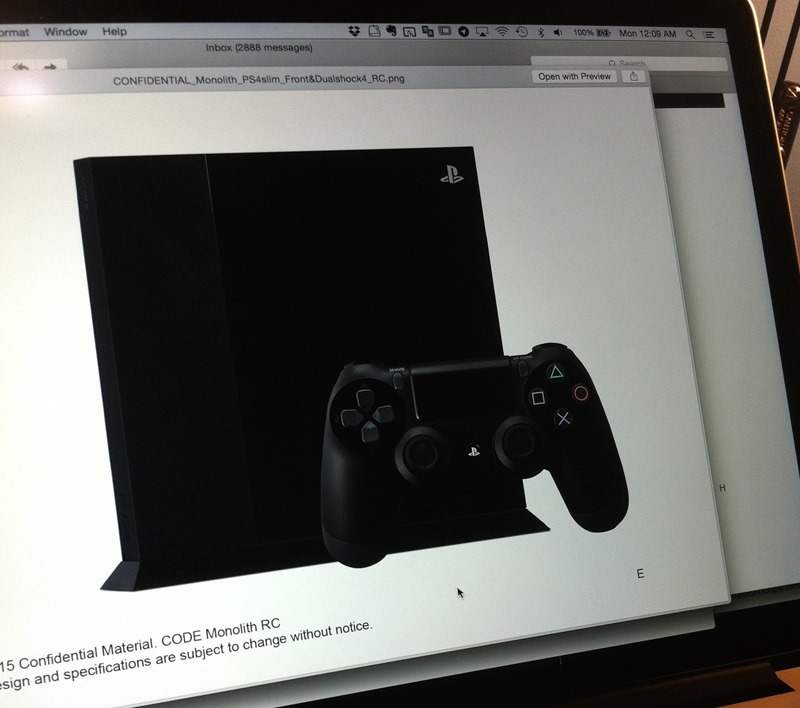 The images come from Multiplayer.it, and show a significantly smaller, trimmer PS4 – that seems to have its disc input and buttons on the side. Beyond being a silly design, it’s actually too damned small and would be a nightmare for heat dissipation. 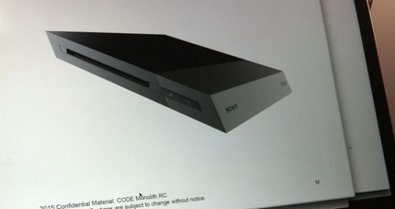 According to the pictures, it has the codename “monolith,” which is a moniker that’s been applied to the PS4 since its inception, thanks to its resemblance to the stone slab from 2001: A Space Odyssey. I’m going to straight up call this rumour little more than a hoax – and as far as I’m concerned, a bad one. 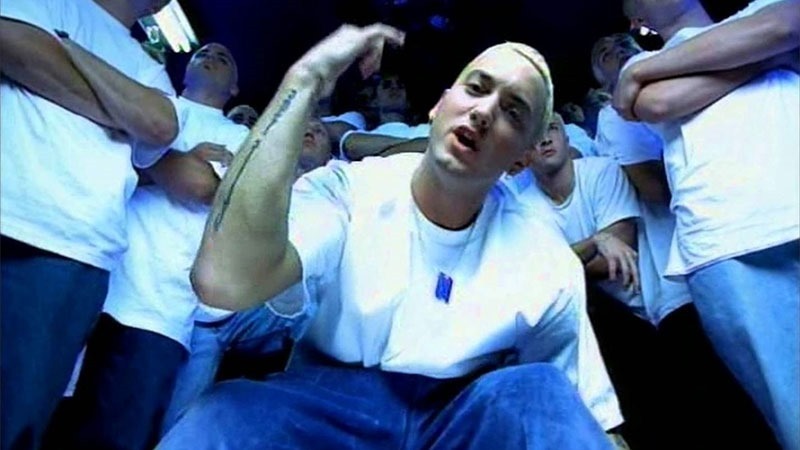 Here are the pics though, so you can decide for yourself. 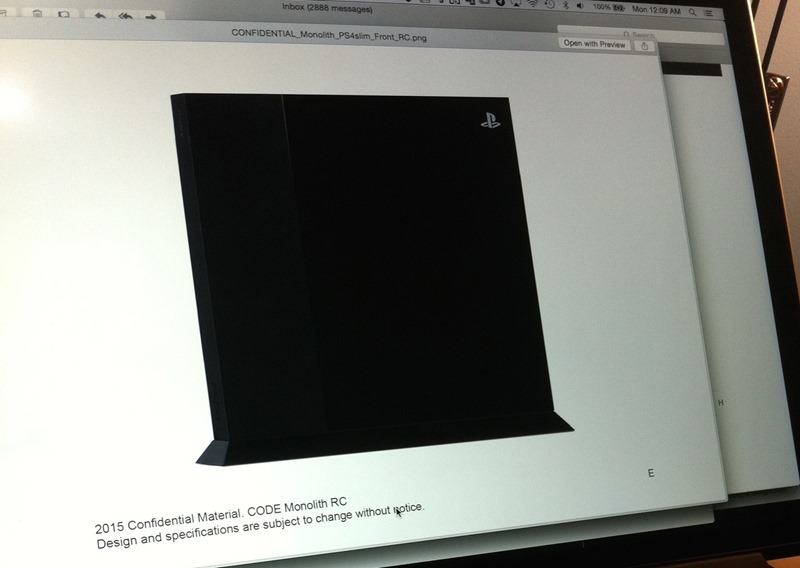 Sony, of course, does like to release new hardware iterations. Sony released the slim PlayStation 3 in September 2009, nearly 3 years after the console was first released. 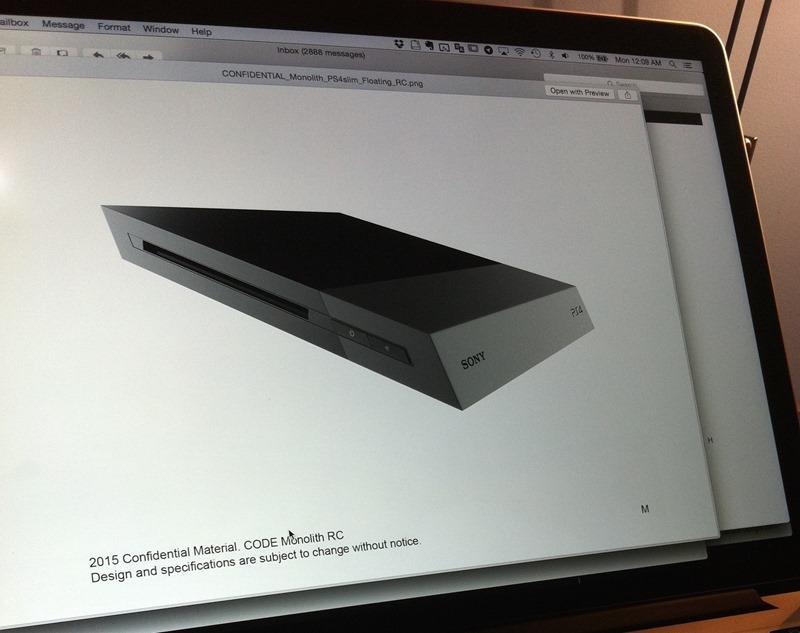 It took another 3 years before we saw a PS3 with an even smaller form factor. Just over a year in its lifecycle, I think it’s far too soon for a hardware refresh. What do you think? Real, or obvious fake? Previous article Stay in the fridge! A remake of THE BLOB is on the way!